Our school’s computer lab is indicative of our commitment to prioritise investment in information technology throughout the school. Rockboro has a state-of-the-art computer lab with the latest technology including multi-touchscreen PCs. 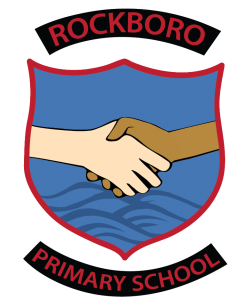 From the age of 5, pupils at Rockboro are taught Computer Science and IT skills by a specialist teacher. We place an emphasis on teaching our pupils how to code and how to create their own programs in the belief that these skills foster logical thinking, creativity and problem-solving skills in addition to preparing children for the high-tech world we live in today. 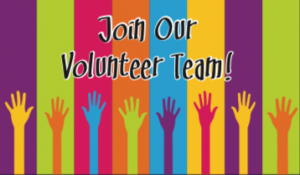 Our goal is to teach pupils from an early age not just how to use a computer (using software programs such as Word, Powerpoint and Publisher and various hardware configurations) but also how computers work and how to create a set of instructions – a program – to accomplish specific goals. Beginning at the Junior Infants level (age 5), pupils at Rockboro learn the basics of computer coding using different visual programming software. As they progess, our pupils learn to create more complicated programs and further develop their logical reasoning skills. 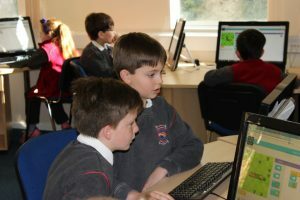 From J4 upwards, pupils also learn about computer animation, podcasting and the concept of cloud computing among other topics. In addition, children from J1 to J6 are taught touch typing. We also teach children the importance of internet safety from an early age.